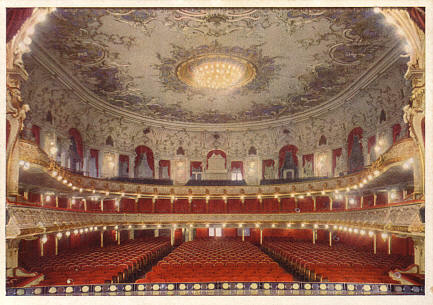 Built 1887-1888 as "Concert- und Ballhaus Ronacher" by Ferdinand Fellner & Hermann Helmer replacing the remains of the "Stadttheater" (built 1871-1872, destroyed by a fire on 16 May 1884), while preserving the original façade. The complex inlcuded a variety theatre and a hotel. Named after the theatre's director, Anton Ronacher. Also known as "Etablissement Ronacher" or simply "Ronacher". 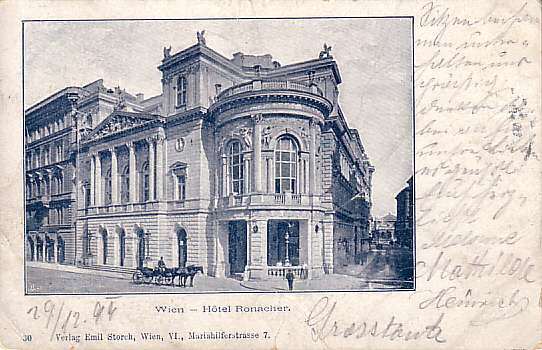 1945-1955 used as an interim home to the Burgtheater drama company. 1955-1960 again used as a variety theatre. 1960-1976 used as a TV studio by ORF. Closed 1976. Re-opened 1986 with "Cagliostro in Wien". Subsequently used for various performances during the "Wiener Festwochen" festival. Since 1987 operated by "Vereinigte Bühnen Wien". 1988-1990 used for musical and opera performances. 1990-1993 major renovation. 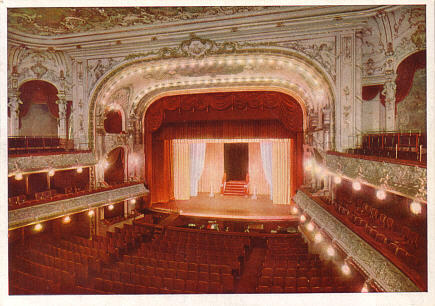 1993-1997 used as a variety and revue theatre. Since 1997, used for various theatre and musical performances. 1037 seats. 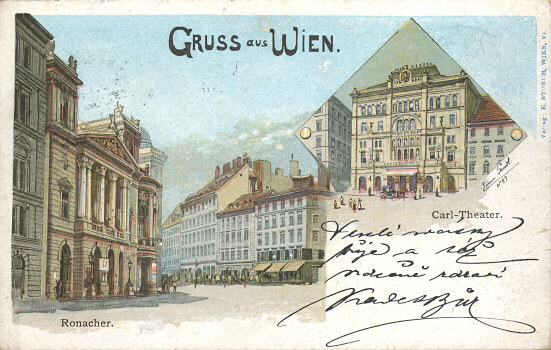 Front Text: "Wien - Hôtel Ronacher"
Front Text: "Gruss aus Wien", left: "Ronacher", right: "Carl-Theater", signed: "Erwin Pendl 1899"
Reverse Text: "Wien - Ronacher Theater, Wien - Deutschlands schönstes Varieté, Inhaber Bernh. Labriola"